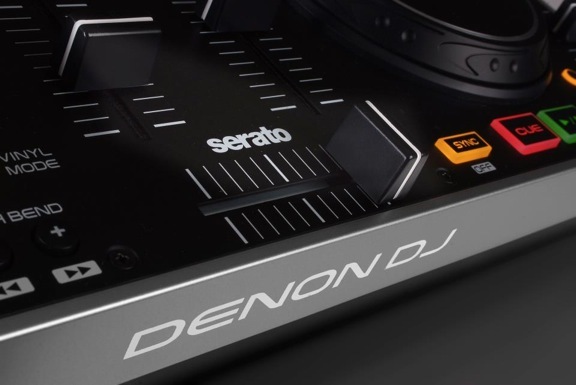 The Denon MC2000 is one of our favourite basic DJ controllers, and now it can be used with Serato DJ, its capabilities have just got considerably larger. 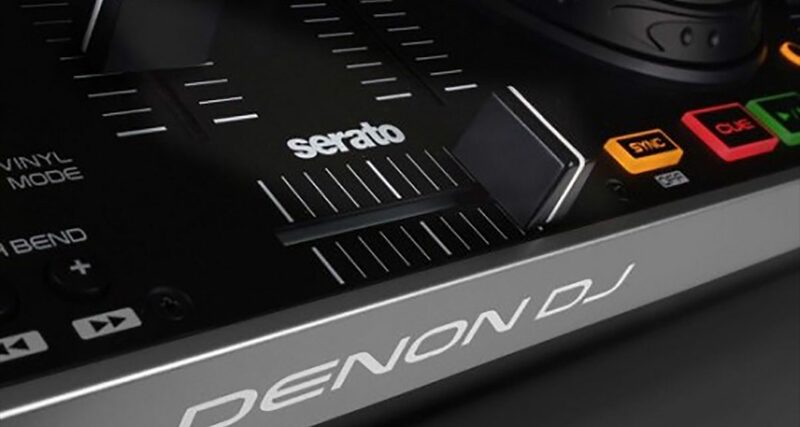 Users of the Numark Mixtrack Pro, Pioneer DDJ-Ergo and Denon DJ MC2000 can now upgrade from the Serato DJ Intro software as supplied with their controllers to Serato DJ, Serato’s flagship DJ controller software. 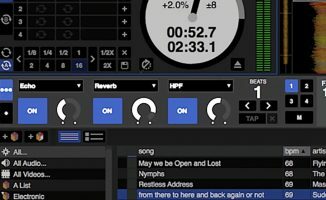 The one-off US$199 upgrade is available as of today from the Serato website. It currently includes a free licence for the Serato Video plugin, normal price US$149, which lets you mix music videos or add visuals to your sets. The Serato DJ 1.1 upgrade which allows use of these controllers is available now. • Rollout for Serato ITCH controller and other Serato DJ Intro controllers is planned over the coming months, as are further features for the software. You can sign up to be informed when the software is ready for your controller. Are you a Mixtrack Pro, MC2000 or DDJ-Ergo user who’s been waiting for this upgrade? Have you made the upgrade and if so, what are your first thoughts? Or are you an ITCH user still waiting patiently for the software to arrive for your controller? Please share your views in the comments. Err…. an upgrade that costs $199? Am I missing something here? It’s certainly more than Traktor at around US$85, but equivalent to Virtual DJ, which is also I believe US$199. I tend to use my Twitch as a back-up controller these days (main rig is DN-MC6000 + Traktor), & when I do use it, I tend to use Traktor, as all my cue points etc are set in that programme. So $199 to update my back-up system is going to be a pretty hard to justify! True, but seems a bit steep when the Serato licence adds a premium to the cost of a controller in the first place. I’ve not used NI, but if I bought a S2 or S4 would I have to pay as high a price for upgrades/unlocks to Traktor pro? Or is that what you mean by $85? No, but if you bought a Serato ITCH / Serato DJ controller (rather than a Serato DJ Intro controller) like the VCI-380, the DDJ-SX, the Novation Twitch etc, these are the equivalents to the S2 or S4 in that they already have “full strength” software “in the box”, and in those instances the new software will be free. oic; does that mean, as a TWITCH owner I get the upgrade for free? I really need to get my eyes tested…. VirtualDJ Pro upgrade from VirtualDJ LE varies based on controller but these 3 are around $149 to upgrade. And you don’t have to purchase another license if you want to change your controller to one of the 150+ controllers that the software already supports. Good point, are you saying you unlock the controller, not the software when you buy a Serato DJ licence? I’d be surprised if that’s the case but maybe you know something I don’t. A Serato DJ license is used to unlock *one* computer (laptop or desktop), which can then be used with *any* compatible controller. I just checked with Serato and this is indeed the case. I forgot to ask how many computers you can use it on though. Right. You’ll get a free upgrade for your NS7. Hoping someone comes up with a way to make this work with the denon mc6000. Preferably denon and Serato. Unbelievable that Serato is not native for this controller. I own a NS6 right now and i’m not so happy with Serato. I also own the NS6 and don’t have any problems with it, but I bought the TM4 which is far superior than the NS6 just waiting for the upgrade. Damn!! April still seems so far away. It doesn’t make sense that the upgrade for intro users is available before existing Itch users. Itch is very glitchy whenever I use it. So I end up using Traktor. I think Serato are walking a very fine line, coz’ now I begin to wonder if Serato Dj is gonna be able to measure up when it’s finally released for Itch users. I agree with JMJ. As a owner of a Xone DX, I would love to upgrade to something from Serato. Instead, I have been searching for other options. 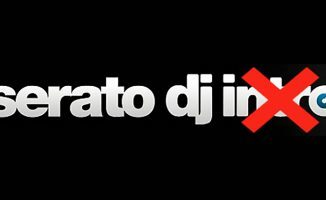 Come on Serato… give us DX fans something to celebrate this Xmas! Is there still a potential release/upgrade for the VCI-400 in the future? Yes, we’ve linked to the page on the Serato site where you can follow progress. 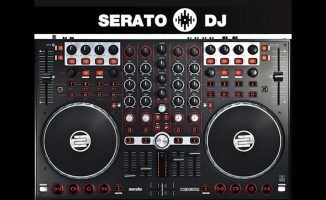 If I purchase Serato DJ , just say for the Mixtrack pro , and I later upgrade to another supported controller , do I have to repurchase the program? No, that’s what we’ve just checked, and you won’t have to. If I own a itch controller v7’s and a twitch and I also have a mixtrack pro with intro. 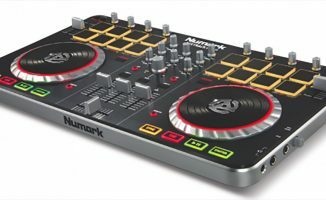 Will I have to purchase the upgrade for my mixtrack controller? I hope you find it useful, we’ve worked hard on it over here. Any coupon code from DigitalDJTips? Good question! My gut reaction is no, you won’t be able to do that but I haven’t tried to Midi map Serato DJ yet so in all honesty at this time I can’t tell you.